Vast changes have been undertaken at MetroMail. The past 6 months have seen a great deal of change for the Seaham based mailing house. New MD Chris Pygall is keen to move with the times and create a modern customer focused brand. 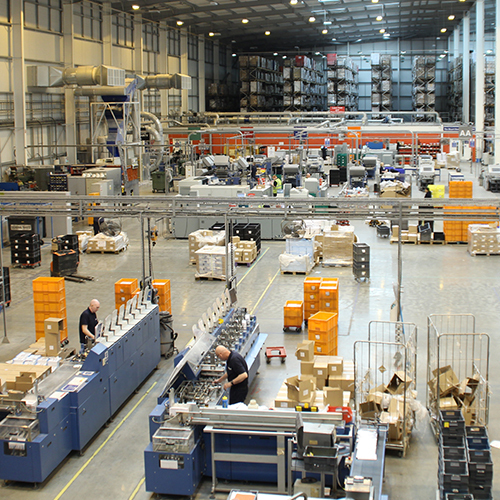 As one of the largest mailing houses in the UK with an annual output of approx. 350 Million printed A4 pages, MetroMail have an established reputation with 28 years of experience in the direct mailing industry. The company has recently under gone a rebrand in order to position itself better within the market and showcase their valued experience and expertise. Chris believes ‘it is integral to move with the times and create a strong presence on multiple marketing platforms’. The rebrand involves a newly updated website which states exactly what the company offer and the benefits to potential clients. On the back of this the company has recently launched their social media channels in order to communicate their values and beliefs, sharing industry news with a wide audience. Social media isn’t necessarily something which would be associated with the mailing industry, however MetroMail’s new style and culture makes it a creative, exciting environment that the company wish to share. Chris goes on to state that ‘in such a competitive market it is essential to stand out. The purpose of the rebrand is to simply and clearly show our clients and potential clients just how good we are, and keep them up to date with our business developments and updates’. ‘We have a lot more plans for the future as we continuously improve our brand and business to become your preferred choice’. The company are also refurbishing their office in order to create a consistent image and take the client on a journey, showing them the end-to-end solution they offer, from when the order arrives to when their product is dispatched. As well as this, new on brand brochures have been designed to give potential clients an even better understanding of the company and what they offer. To request a brochure simply email: enquiries@metromail.co.uk. MetroMail are proud to have market leading equipment which allows them to easily and efficiently complete large and small scale orders. There ethos of a ‘people –centred’ approach has created a strong, skilled team of employees with the right experience, giving clients piece of mind. To find out more information about MetroMail visit their website at: www.metromail.co.uk, or follow them on social media. If you would like to work at MetroMail please send your CV and a short cover letter to: enquiries@metromail.co.uk.